I had a different post all ready to go, and it just didn’t feel right today, not after the lunch I had yesterday with a very good friend and volunteer manager. Ironically, I had just read the brilliant post by Elisa Kosarin on her blog, Twenty Hats about a note to self: When your volunteer mindset needs a boost. Elisa talks about the disparity between a volunteer manager’s salary and the value we assign to ourselves. Are we valued? Can we overcome the perception that we are not worth much? But back to my friend. She’s done. She’s looking for another job, outside our field. And she is one of the most naturally talented volunteer managers I have ever met. She knows people. She understands motivations. She is passionate about her mission. She embraces projects. She works hard. She told me she just wants to be in a place where her talents are cultivated. She just wants to stop having to explain over and over her worth and the worth of her program, just to be shot down when she needs resources. She just wants to feel supported by her supervisors. She said she felt like a prop, one in which her caring face hid all the cavalier attitudes behind her. She just wants to be paid a fair wage. It hurt to the core to hear how miserable she is and even though a part of me wanted to say, “But the work! The work is why we do this,” I couldn’t. It would have rung hollow, after all she has been experiencing. So I agreed with her. Leave. Find a job where they appreciate your talents. If that is at another non-profit, then great, but if not, go where your soul is happy. We talked about how she could help a for profit company invest in community service. With her list of skills, enthusiasm and creativity, she will shine somewhere if just given the chance. Thankfully, not all organizations that engage volunteers are as difficult. Most are serious about cultivating volunteers. Sadly, though, some just give lip service to volunteer programs. Now, I wish for my friend a position in a company that recognizes her talents and I weep for the volunteers at the non-profit that caused her to feel this way. She deserves better. Their volunteers deserve better. And what’s really sad is that even though we are making great strides in elevating our profession, it’s too little, too late for my friend. Sometimes, you just have to go where you will shine. A wonderful post, Meridian – and thanks for the mention! As you point out, most nonprofits take volunteer engagement seriously. The decision to stay or leave a position is always tough, but we all deserve a supportive workplace culture. And thank you Elisa for your post I found it incredibly ironic that I read it before having lunch with my volunteer manager friend. I kind of expected our usual grousing about the things that annoy us but wasn’t prepared for her resolve to leave. But in her case, it makes sense. Thanks for the great post Meridian. I don’t know too many non-profits right now that aren’t facing fiscal challenges. We are constantly being asked to do more with less as funders cut down on how much “overhead” they will allow you to put in grants or contracts, yet the heating bills still need to get paid, computers purchased, etc. However, as these struggles will likely only continue at least for a lot of non-profits, fewer seem to devote much consideration or planning to their volunteer program. 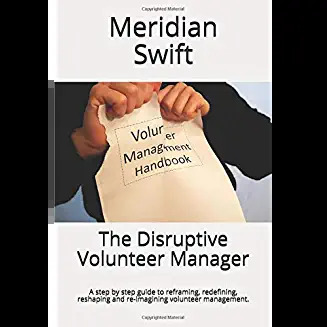 It baffles me how many organizations say that “we wouldn’t be here with our volunteers”, but do not treat them as an essential part of the organization. I feel very fortunate that I work at an organization where volunteers are considered integral team members. When they have special skills to bring to the table, I feel that our staff are generally very receptive to that and try to utilize those skills and talents. Volunteers are usually invited to our agency-wide staff meetings and the volunteer coordinator is part of the Leadership Team. I took today’s blog as a chance to thank our CEO for this. Thanks so much for sharing your situation Laura I really think I needed to hear a positive experience after yesterday. I really think strides are being made and as tax rules affect the future of giving, volunteer managers will be expected to produce more. 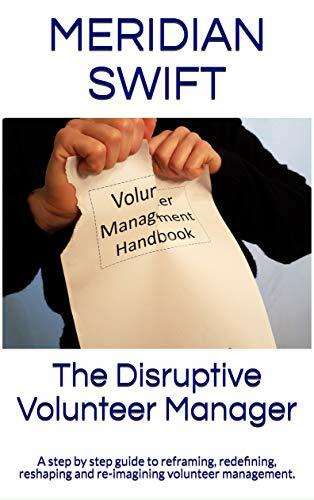 Hopefully investing in their volunteer managers will become a top priority for organizations who engage volunteers.